Dr. Massachi is marvelous. He's my new primary care physician and I liked him from the moment I met him. He's knowledgable, caring and very informed. I'm happy he's my doctor. I'm being very well cared for. They took me in on time and everyone in the office was really nice. First time actually being relaxed and comfortable in a doctor's office. Would definitely recommend to others. Very nice staff and on time. Would recommend to others. First time I ever went to a doc for a physical and was done in a timely manner. in and out in a little over an hour. Doc was very thorough, took his time, staff was incredibly friendly and the offices are very up to date with latest equipment. I was referred to Dr. Massachi by my gynecologist, this was my first visit and so far very happy with the treatment provided all around. Little to no wait time, very attentive and personal physician who has helped me through various medical issues immaculately. Barely any wait time upon arrival. Attentive, friendly staff. The doctor was very informative and quickly diagnosed my illness. Very happy with how everything worked out. Dr. Massachi and his staff were friendly and kind which made me feel safe, comfortable and cared for. They were knowledgeable and informative which is important to developing trust. They listened and were efficient and thorough. I loved the extra touches like comfortable robe and warm socks. Always a hassle free experience and beat doctor! Dr. Massachi took the time to really listen to my health history and presenting concerns. The office and nursing staff were kind, professional and attentive. Truly a lovely experience. Amazing doctor and staff! I'll refer all my friends to Dr. Massachi. Dr. Massachi was extremely through allowing me to ask questions about my upcoming procedure and labs done in his office. His staff was very warm and made sure that I had everything I needed prior to my office visit. I would definitely refer him to all friends and family! Dr. Massachi and his staff are amazing - I'm always able to get an appointment, little to no wait time, he's very knowledgeable and he has a great bedside manner. He is able to make an uncomfortable visit actually pleasant! 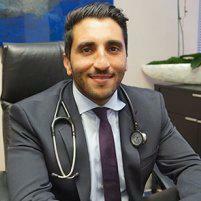 Dr. Massachi is a great doctor with great deal of knowledge. The waiting time is too long and front desk staff need improvement. Couldn't ask for a better doctor! 100% satisfied with the services, personnel, location. As always, five start treatment from a very knowledgeable, caring doctor. Such a short wait time, lovely staff and I always come out of there feeling more positive and in control of my illness. My experience with Dr. Massachi has been nothing short of wonderful. He is extremely professional, knowledgeable and caring. I highly recommend him to any friends or family I know are in need of a great doctor. Dr Massachi and his team were very nice and professional.